Mr. Blazejack has been active as a real estate appraiser/analyst on a full time basis since 1979. During this period, his real estate experience included highest and best use analyses, market studies and evaluation of offices, hotels/motels, apartments, condominiums, warehouses, vacant land, single-family homes, shopping center, mobile home parks, recreational property and special purpose property. These assignments were conducted in eight states and Puerto Rico with extensive work throughout Florida. Prior to joining Blazejack & Company (formerly affiliated with Slack, Slack, Roe & Blazejack), Mr. Blazejack was a Senior Appraiser with Cushman & Wakefield of Florida, a Senior Appraiser with Southeast Mortgage Company and an Appraiser with Real Estate Research Corporation. He was also a Staff Appraiser with E. Roger Budny and Associates. Mr. Blazejack has extensive experience using a variety of software programs from Office Suites, to mapping programs to financial analysis programs including Pro-Ject plus+ and Argus. Mr. Blazejack, President of Blazejack & Company, has been active as a real estate counselor since 1970. His experience includes residential and income property appraisals, market and feasibility studies, and acquisition and disposition reports. The work has been for a wide range of property types including office, industrial, commercial and special use properties, hotels and recreational facilities. These assignments have been conducted in over twenty states and extensively throughout Florida. Mr. Blazejack is a qualified expert witness who has testified in Federal district and lower courts. He is an approved instructor of both the Appraisal Institute (AI) and the American Bankers Association. Mr. Blazejack is a past president of the Greater Miami Chapter of the Society of Real Estate Appraisers and was the 1992 President of the South Florida Chapter of the AI. MAI Member, Appraisal Institute, Certificate Number 6089, currently certified. CRE Member, American Society of Real Estate Counselors, Certificate Number 1131. State-Certified General Real Estate Appraiser, License Number RZ93. Mr. Blazejack is the past President of the Real Estate Counseling Group of America (RECGA). Joseph is a certified Argus user with a developed practice helping clients build and edit cash flow and budget models for all types of property. A native of Miami, Joseph is an experience inshore angler. His passion for finding fish has lead him to explore an extraordinary percentage of Miami-Dade’s shore line. 2012-Present: Appraiser, Blazejack & Company, Miami, Florida. 1995-2012: Appraiser, Clobus, McLemore & Duke, Inc., Fort Lauderdale, Florida. 1994-1995: Appraiser, Investors Research Associates, Miami, Florida. 1993-1994: Appraiser, Cushman & Wakefield, Miami, Florida. 1991-1993: Appraiser, Bach Thoreen McDermott, Inc., Houston, Texas. 1988-1991: Appraiser, Georgia Federal Bank, Atlanta, Georgia. 1983-1988: Appraiser, Porcher, Bond, Wilk, Allison, Inc., Dallas Texas. 1982-1983: Salesperson, Helena Underwood Realtors, Dallas, Texas. 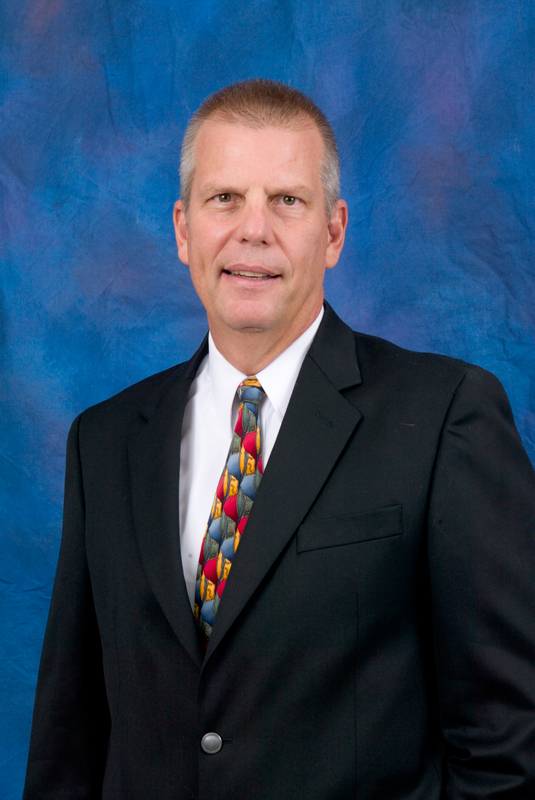 Mr. Mlinar has been active as a real estate appraiser/analyst on a full-time basis since 1983. During this period, his real estate experience included highest and best use analyses, market studies and evaluation of offices, hotels/motels, apartments, condominiums, warehouses, vacant land, single-family homes, retail stores, restaurants, shopping centers, golf courses and special purpose properties. Since 1993, these assignments were primarily concentrated in South Florida, but with extensive work also completed on properties located throughout the state. Throughout his career, Mr. Mlinar has completed appraisals and analyses on properties located in 15 states. He’s pursuing the Appraisal Institute MAI designation. He’s taken all the courses required for the MAI designation. Ricardo Palma University (Lima, Peru). Bachelor of Science in Civil Engineering. Commercial Appraiser at Blazejack & Co. September 2007 – present. He’s worked 12 years in this company. Commercial appraisals on many property types in Florida and USA. His professional experience includes Highest and best use analysis, commercial appraisals on numerous property types such as warehouses, apartment complexes, condominium buildings, office buildings, shopping centers, retail, special purpose properties, subterranean rights, air rights, and vacant lands. Commercial Review Appraiser at Bayview Lending Group LLC, May 2007 – August 2007. Review Appraisals on different property types in Florida. He worked as head of the Commercial Appraisal Review Department at Greenpoint Mortgage. He covered the South West, Central and Northeast area of Florida. April 2006 – February 2007. His professional experience in the state of Florida and the Caribbean include highest and best use analysis, commercial appraisals on numerous property types such as warehouses, apartment complexes, condominium buildings, office buildings, shopping centers, retail, restaurants, special purpose properties, and vacant lands. He worked as a commercial appraiser at Blazejack & Company March 1999-Ap. 2006. Between 1987 and 1998 (11 years), prior to conducting work in Florida, he conducted commercial and residential appraisals on houses, retail outlets, hotels, apartments, condominiums, offices, warehouses, factories, and hospital in Peru. Mr. Wong has experience using a variety of software programs like Microsoft Word, Excel, database IRIS, Data Comp 3.5, Street Atlas USA 6.0 (mapping), Marshall & Swift (Cost program), Argus (Cash Flow Analysis), Co Star, and MLS. He has worked both in the private and public sector as a Civil Engineer for approximately 14 years. He worked as Supervisor Engineer and Superintendent Engineer in different civil engineering jobs in Peru. Responsibilities included subdivisions, installation of water, sewer, lighting, roads, and massive construction of houses, apartment buildings, condominium buildings, retails, warehouses, and factories. He constructed and managed the financial arrangements for the construction of condominium buildings in Peru. He made studies of costs and budgeting for the construction of these jobs. Member, Engineer Association of Peru. Mrs. Wong’s professional experience in the state of Florida and the Caribbean include assistance in commercial appraisals on numerous property types such as warehouses, apartment complexes, office buildings, shopping centers and vacant lands. She’s has worked at Blazejack & Company, Real Estate Counselors since June 1999. Between 1987 and 1998, prior to conducting work in Florida, Mrs. Wong conducted commercial and residential appraisals on houses, retail outlets, hotels, apartments, office buildings, warehouses, factories, and hospitals in Peru. Elizabeth was active as a real estate appraiser trainee from 2006 to 2009. During this time she worked for Blazejack and Company assisting in the research and development of commercial appraisals. Her work includes the development of background information for the analysis of a wide range of commercial properties including offices, apartments, free standing retail, shopping centers, vacant land, historically designated properties, industrial facilities and environmentally protected sites. Elizabeth was licensed in Florida in late 2009 and remains with Blazejack and Company as a consultant. Prior to joining Blazejack & Company Elizabeth worked in office management and real estate development. She taught internal martial arts and is a former member of the Minneapolis Ballet Company and ballet teaching staff of Vanderbilt University. She is fluent in Spanish.